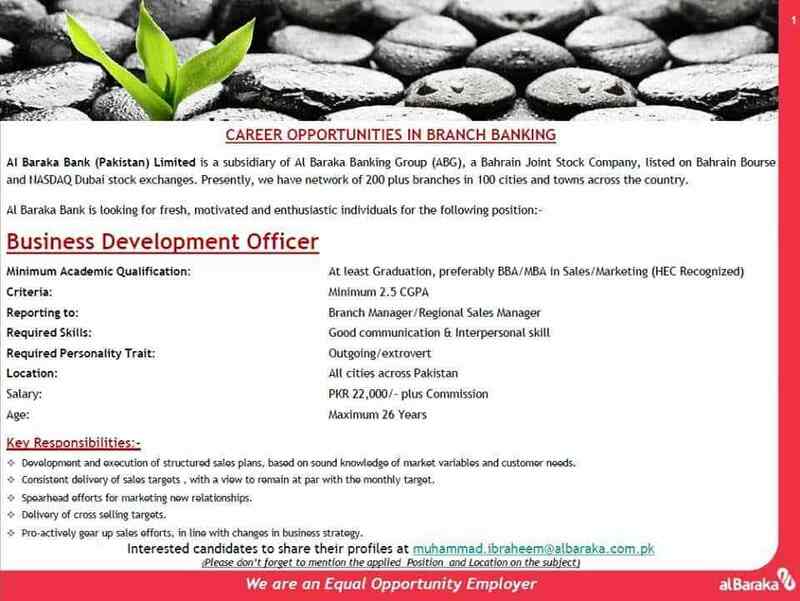 Al Baraka Bank (Pakistan) is first Islamic bank located in Pakistan and it has invited the applications for Al Baraka Bank Jobs 2018 in all cities of Pakistan with 200 plus branches in 100 cities and towns in the country. Al Baraka Bank (Pakistan) Limited is engaged in the banking industry in this country. Al Baraka (ABPL) is the subsidiary of Al Baraka Banking Group (ABG), is the Bahrain Joint Stock Company and it is listed on the Bahrain and NASDAQ Dubai Stock Exchanges. It is the leading international Islamic bank and it is inviting the applications from the fresh, motivated and talented candidates for different positions, which are mentioned as under. The details of the position, location, salary package and other information with latest advertisement of Al Baraka Bank Jobs 2018 are mentioned below. Candidates must be at least graduated. Preferable Disciplines are BBA, MBA, Sales/Marketing from HEC Recognized University. 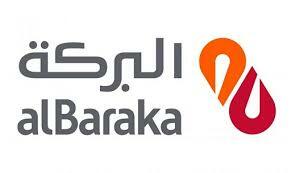 Al Baraka is an equal opportunity so both male and female can apply for Al Baraka Bank Jobs 2018. Development and execution of structured sales plan with enough knowledge of market variable and customer needs. Delivery of Sales Target, Monthly Target. Delivery of cross selling Targets. Should be Active for marketing new relationships. If you submit the untidy and incomplete CV / resume, then your application will not be considered for getting the job. You need to have a look at my CV / resume and the important points on how to make a CV.